Connect and migrate to AWS from anywhere, including your internal data center or another public cloud provider. Access your desktop anywhere, anytime, from any device. Amazon WorkSpaces is a managed, secure cloud desktop service. With CloudCheckr, you have a platform for cost management, AWS inventory, continuous security and compliance auditing across your AWS investment. We work with our clients to come design and implement a Disaster Recovery solution that fits their needs. From RTO/RPO to failover testing. 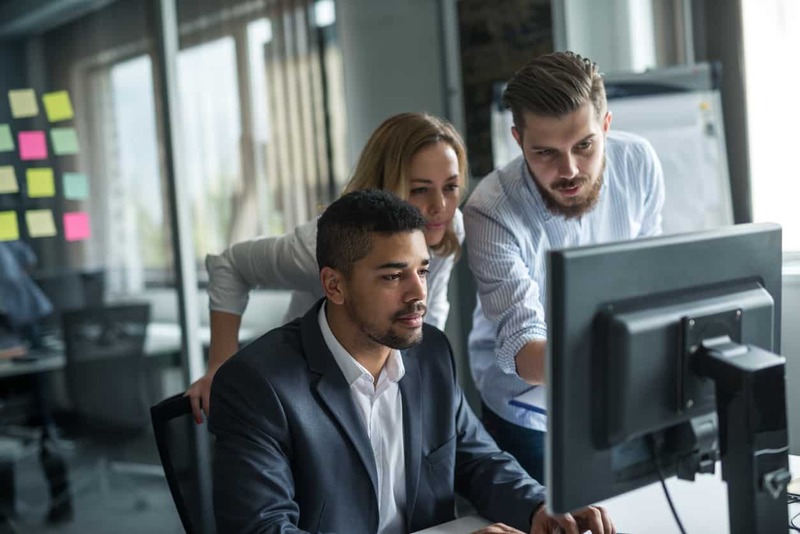 Most clients are looking to establish a foothold in the cloud to take advantage of its offerings. MDS designs and deploys a migration path to the cloud utilizing AWS’ Well Architected Framework. Backups are usually stored onsite through disk or shipped offsite using tape. We help clients take copies of their backup offsite by storing them on AWS S3/Glacier to help reduce costs as well as the ability to spin up a backup in the cloud. AWS is a market leading, cost-effective and flexible solution to all your cloud needs. 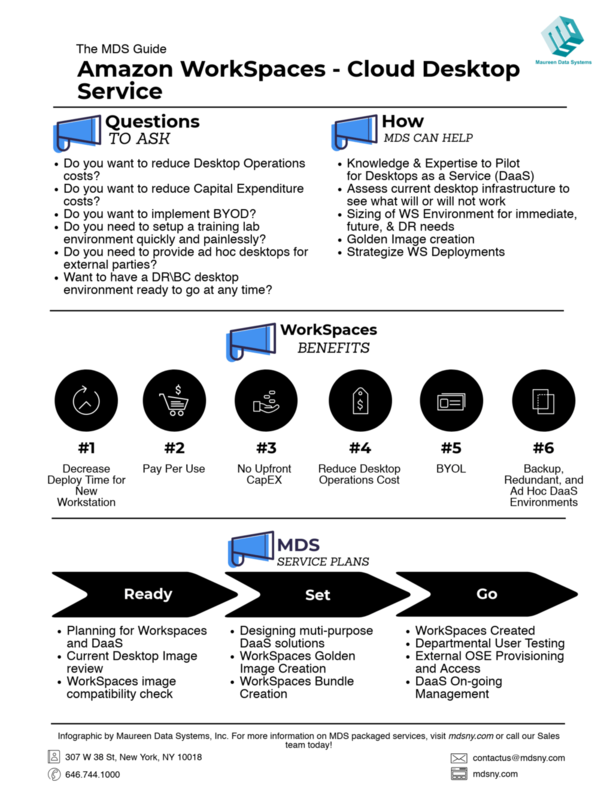 At MDS, we work to make sure your transition to AWS is as simple, non-disruptive and productive as possible. As an AWS standard tier partner, we will assist your migration to the cloud every step of the way.